Mortgage Architects is pleased to announce the appointment of Chris Nichilo - Principal Broker of Magnetic Capital Group Inc. as a Lead Planner in Oakville, ON. Chris cites 'MA's corporate philosophy, executive values and appreciation for education first' as key reasons for joining. "We believe it's the leadership group and the MA people that make all the difference"
"We look forward to the opportunity to share our vision for industry growth, meeting the rest of the MA family and leveraging the experience and knowledge of a mortgage planner team comprised of leading industry professionals." 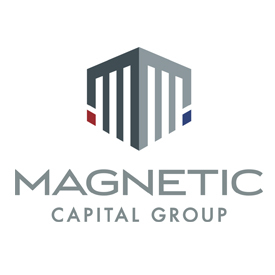 Magnetic Capital Group's Bruno Mangiardi spent 10 years in the commercial mortgage divisions of both Scotia and TD. Chris Nichilo is a professional speaker and writer for MoneySense Magazine and the Soho Business Report. He has also appeared on several regional television shows and is well-known for his 'live' workshop series "The Wealthy Lender". Both Chris and Bruno join Mortgage Architects from Dominion Lending. We are honoured and thrilled to welcome Chris, Bruno and their team to the Mortgage Architects Professional Broker Network.